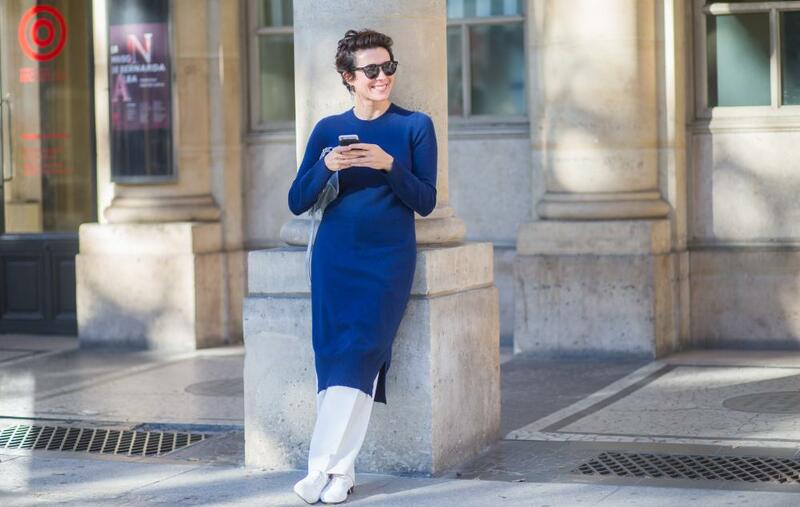 Fretting about how to dress when interviewing someone is usually the least of my worries, but today my task is to get fashion legend Garance Doré to talk. And as a fellow French woman, I feel like I have to look my best. Doré was described by the New York Times as the “guardian of all style”. She rose to fame thanks to her street style photography and candid blog musings and is now gearing up for the release of her first book, Love Style Life. I meet her in a fancy lunch spot in New York’s SoHo neighbourhood, minutes away from her work studio – and as it turns out, I needn’t have worried about my outfit. Early in our interview, Doré – who is wearing frayed jeans, Stella McCartney floral boots, a striped top and Eva Fehren rose gold jewellery – tells me that she’s “not that sophisticated”. Looking at her radiant skin, her sharp trademark haircut and her perfectly shaped eyebrows, it’s hard to take her remark seriously. But she’s right, in some sense. By fashion world standards, Doré started out as a complete outsider with roots in rural France, hundreds of miles from any catwalk. She was not destined to grace the first row of fashion shows the world over, sitting next to the celebrité du jour. In many ways, her story closely resembles the American myth of the self-made woman. Doré grew up in Corsica, a small island in the south of France. “There was no roads, no cars – I grew up half naked on the beach,” she recalls. She was raised by immigrants parents – her father came from Italy, and her mother is Algerian. So when she finally made it out to the big city, her life exploded with opportunities. After a few years of literature studies and a few odd jobs in Marseille, she decided to become an illustrator and taught herself the craft, adopting “Garance Doré” as her pen name (it stuck ever since – even her friends call her Garance). It was a long road ahead: Doré had no network, no teacher and no money: “I was totally broke.” Soon, she decided to jump into the unknown and move to Paris. She wasn’t part of the fashion influencers crowd and says she “didn’t have the codes” to crack the closed circle, but that her upbringing allowed her to befriend people from all walks of life. She started her blog in 2006, writing about whatever she felt like – matters of the heart, her aversion to exercise, her favourite lipstick, her love for food. Soon, she developed a following of women charmed by her earnestness. Within a year and a half, she was so successful that she hired her first assistant. 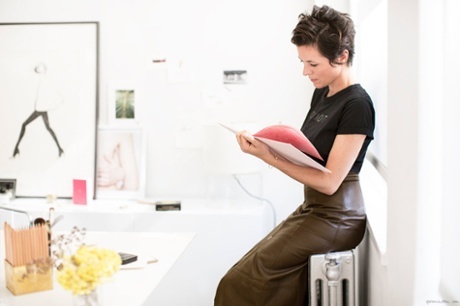 She lived in a tiny studio in Paris at the time and decided to call it Garance Doré Studio, a play on words that still makes her smile: the name made it sound like she was the queen of an empire, when she worked out of her bedroom. But, she says, it also contained a lot of hope for the future. Now that her New York-based studio is a larger operation, its name keeps her on her toes: she can’t forget where she comes from. These days, six people work for her. She makes money with blog advertising, appearances, side projects and her own stationery line (Doré doesn’t say how much she earns but by comparison, French blogger Betty Autier, who arguably has less influence, recently told a French magazine her blog earned her $300,000 a year). Seeing that her success is largely tied to her nationality, what exactly, I ask her, is French style? In her book, Doré describes French flair with one line: “Elegance is refusal.” Americans are always after the next big thing, as opposed to timeless pieces. In France, people know their style and are loyal to it but in the US, people are constantly excited about new trends (Doré links this to French culture being less consumerist than in America). The downside? Paris fashion can be “too simple at times”, whereas New York favours bold self-expression. But Doré is adamant about one thing: French style is all about attitude. This is such a nebulous way of describing it, I tell her: certain models just look the part. 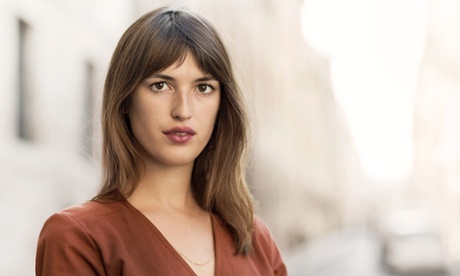 Jeanne Damas, France’s new fashion muse, is the perfect example: her artistically tangled hair, her Charlotte Gainsbourg-ish look, her pout? Her features are quintessentially French. The worst a French woman can do is to “show off” – a big no-no. As for her own wardrobe, Doré favours sophisticated and understated pieces – her favoured palette centres around neutrals with few touches of colour, she favours masculine cuts and often wears flats. As for moving back to her home country, it’s not in the cards. Doré is thinking about moving to Los Angeles to have her family there (she recently moved in with her new partner, musician Chris Norton, in the East Village). She likes the energy and optimism of Americans, and says she can’t stand the culture of victimisation in France. People there complain about taxes, about the lack of opportunities and blame everything but themselves for their lack of happiness. In the US, she says, “if you want to be happy, you go and make yourself happy – you work for that”. If she hadn’t been bold and daring, risking everything she had to make a name for herself, she “would have been trapped for my entire life – perhaps working as a teacher, which is a beautiful job but just isn’t for me”. She may have adopted America’s “can do” attitude, but there’s one French habit that takes time to fade away, however. She remains a bit of a râleuse; someone who likes to complain (it is Parisians’ birthright, but she swears she’s getting better at scrapping it). Well, that, and no one will ever stop her from eating good bread. She urges me to try the loaf in front of me, smiling as she bites into a fresh, delicious made-in-New York slice. Love Style Life is out on 27 October.